SIPOCOT, Camarines Sur 12/05/16 (Bicol Standard) “I will not not hesitate to cancel or not issue Mayor’s and Business Permits to all poulty and piggery businessmen who do not comply with the sanitary and environmental requirements." This was the stern warning issued by Mayor Rogenor Astor, in an interview over DWNX this morning. 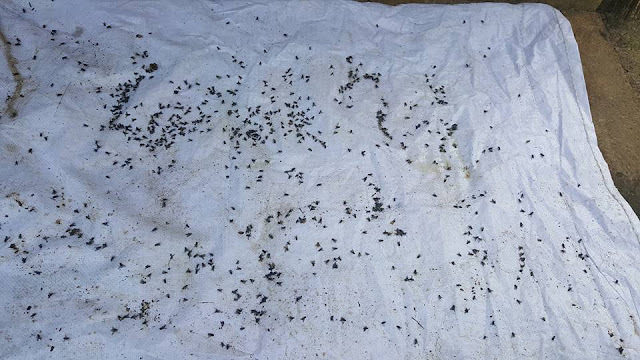 The town executive confirmed that since last year, his attention was called upon by the residents of Calagbangan North, Calagbangan South, Villazar, Vigaan, and Bolo Norte, due to the widespread housefly infestation that has become a serious health and sanitary issue. “The zoning ordinance of Sipocot is already approved. I have directed my staff to conduct an ocular inspection of all poultry and hog farms. If it is found out that their farm is located within the prohibited area, I will not issue the necessary permits for their business operation,” Astor said. “Last year we have already discussed this matter. We acceded to their request for a moratorium on the closure of those that violate existing rules, that’s why for this coming year we have decided to implement the full force of the law,” he added. Astor reiterated that before the LGU approves the business permits of poultry and hog raisers, barangays also issue barangay permits. The Department of Environment and Natural Resources (DENR) also issues Environmental Compliance Certificates (ECC). "These are done to safeguard the best interest of my constituents," he said. Astor emphasized further that before any business permit is approved, he presumes that everything is in order. "Anyway, I will look into this problem. Any violator will be held accountable," he said. This health and environmental concern has been the major clamor of the residents for some time but was only seriously considered by the local leadership when Bicolano activist Vice Casilihan posted photos and videos of the housefly infestation problem on Facebook.